Price reduction!!! $255,000- New stainless steel appliances installed. 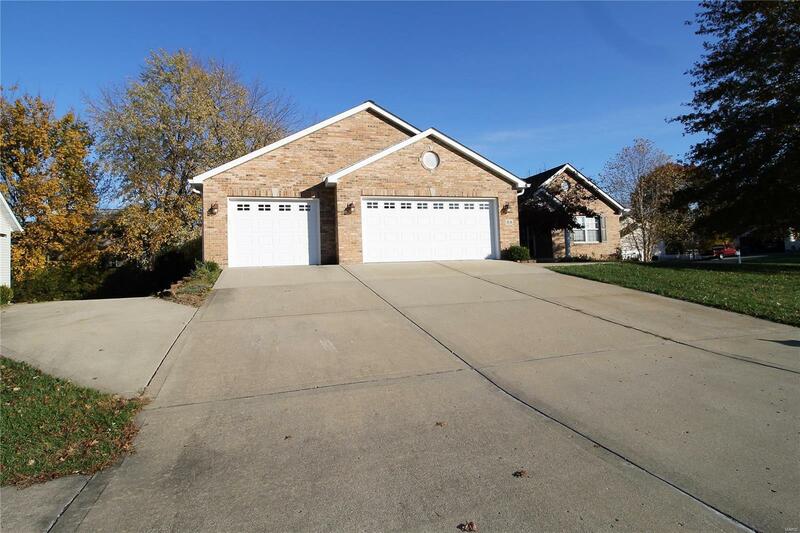 Your chance to own this large atrium ranch w/6 car garage in Triad schools. This 4 bedroom/3bath home offers almost 3000 sq ft. The main level has large bedrooms, wood floors and beautiful kitchen with custom cabinets and a island. The lower level has 9ft ceilings and has a large familyroom w/gas fireplace flanked by built-ins. There is also a partial kitchen, bedroom, 1/2 bath, large storage. The lower level also boast a mechanics dream! There is a 3 car garage underneath the main level garage. There is a driveway that leads around the exterior of the home to the backyard to enter the lower garage. The garage also offers a gas heater and 220 electric. Exit the kitchen to your large 2 tiered deck. The lower level deck has a area for a above ground pool. The electric is still available there. The backyard is fenced for privacy. Make your appt. to see this great house.